The Student Voice Chapters Program is a national network of school chapters that provide students a path to action for local school and community organizing. Through the chapters program, any young person interested in affecting change related to the education they are receiving in their local school will have the tools, resources and support through our network to do so. Each chapter is directly affiliated to Student Voice allowing for sharing of success stories on the ground and distributing resources to school communities nationwide. By forming a Student Voice Chapter, students have the ability to organize around creating and changing practices and policies in their schools. 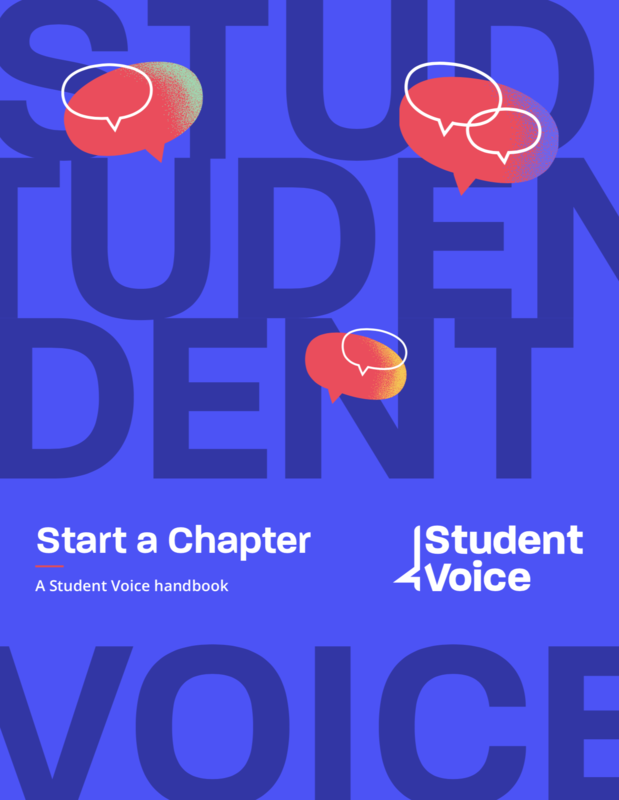 Download this Ebook to learn how to start a Chapter in your school.